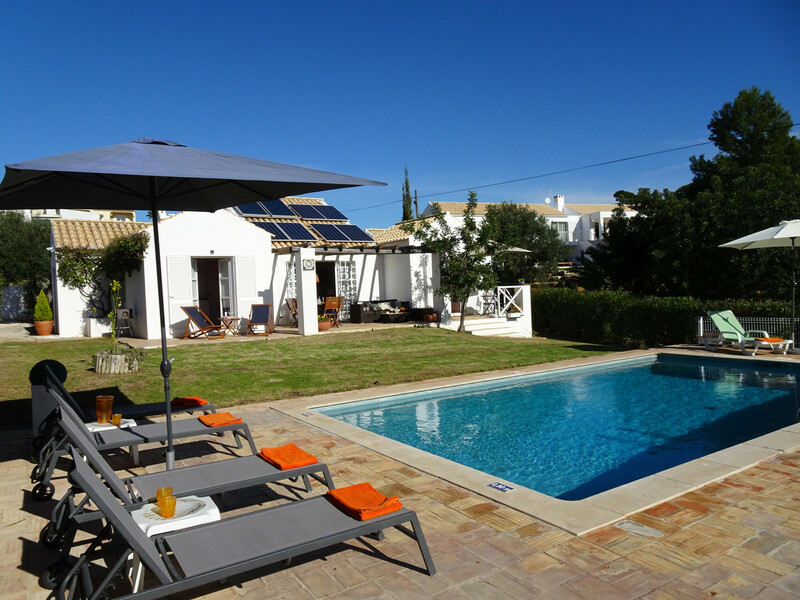 The villa in Albufeira has 4 bedrooms and has capacity for 8 people. The villa is cozy, is fully-equiped, and is 190 m². It has views of the garden and the swimming pool. The property is located 1 km from Salgados golf course, 1 km from Guia city, 1 km from Lagoa dos Salgados , 1 km from Frango da Guia , 2 km from Continente supermarket, 2 km from Algarve Shopping supermarket, 6 km from Apolónia supermarket, 8 km from Galé sand beach, 8 km from Salgados sand beach, 8 km from S. Rafael sand beach, 8 km from Castelo sand beach, 8 km from Quinta da Saudade amusement park / theme park, 8 km from Zoomarine water park, 8 km from Albufeira city, 8 km from Ferreiras - Albufeira train station, 8 km from Terminal Albufeira bus station, 20 km from Aquashow amusement park / theme park, 30 km from Aeroporto de Faro airport. The house is situated in a quiet neighborhood in a suburb. The accommodation is equipped with the following items: garden, garden furniture, fenced garden, 15 m² terrace, barbecue, iron, internet (Wi-Fi), balcony, alarm, air conditioning (hot/cold), air conditioning in all bedrooms, private swimming pool, open-air parking in the same building, 1 TV, tv satellite (Languages: English), stereo. 1 TV, TV Satellite (Languages: English), Stereo, garden, garden furniture, fenced garden, 15 m² terrace, barbecue, iron, internet (Wi-Fi), balcony, alarm, 190 m² property, 2,500 m² plot, air conditioning (hot/cold), air conditioning in all bedrooms, private swimming pool (dimensions 5m x 10m), Open-air parking (2 places) in the same building.